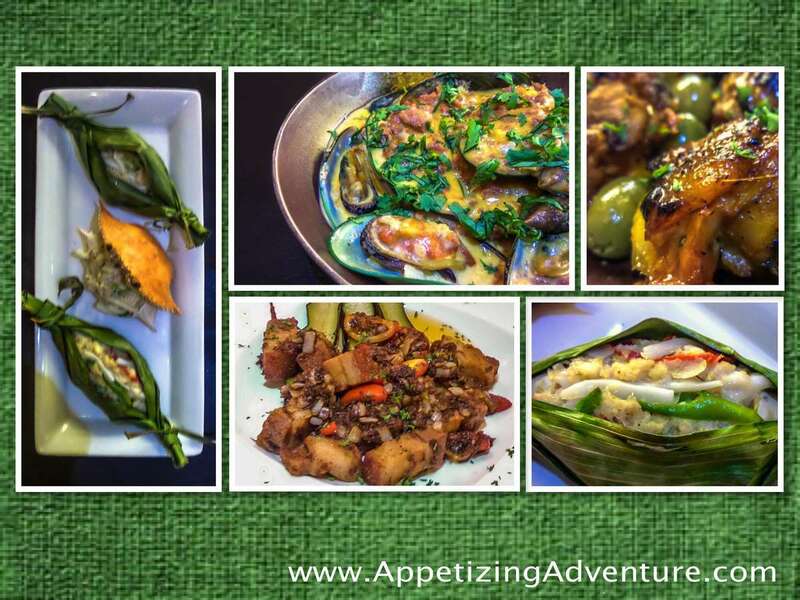 Think of a Filipino dish. Imagine its taste, texture, and presentation elevated a few notches higher. 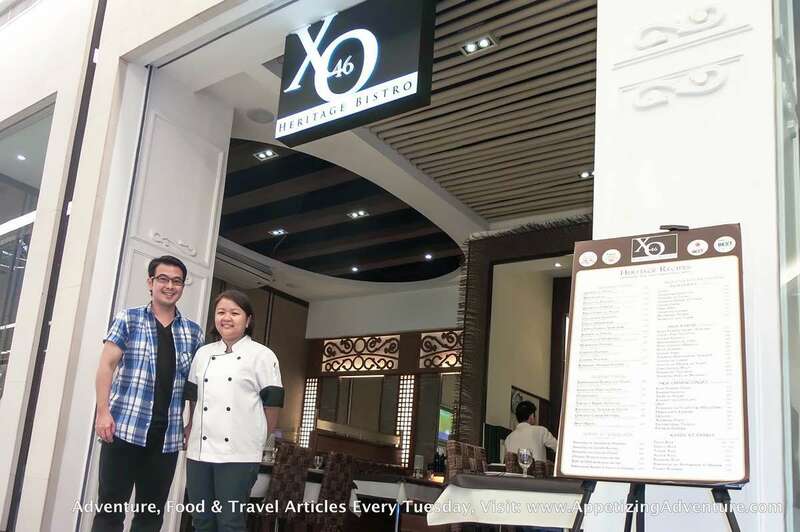 That’s what I experienced at XO46 Heritage Bistro. 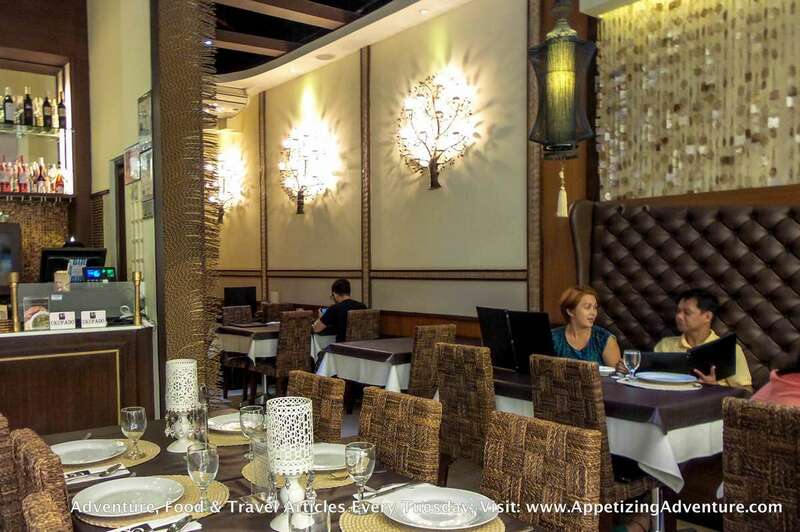 When you enter this restaurant at Century Mall in Makati, there’s that uniquely Filipino feel that welcomes you. The servers wear traditional Filipino costumes and they only speak Tagalog, unless the guests are foreigners. The walls have capiz (mollusc shells) decors, there are abaca woven seats, and they have other details about their interiors that add to that distinctly Filipino ambiance. Four pieces of complimentary puto (rice cake) are served along with two spreads, aligue (crab fat) butter and pineapple butter. 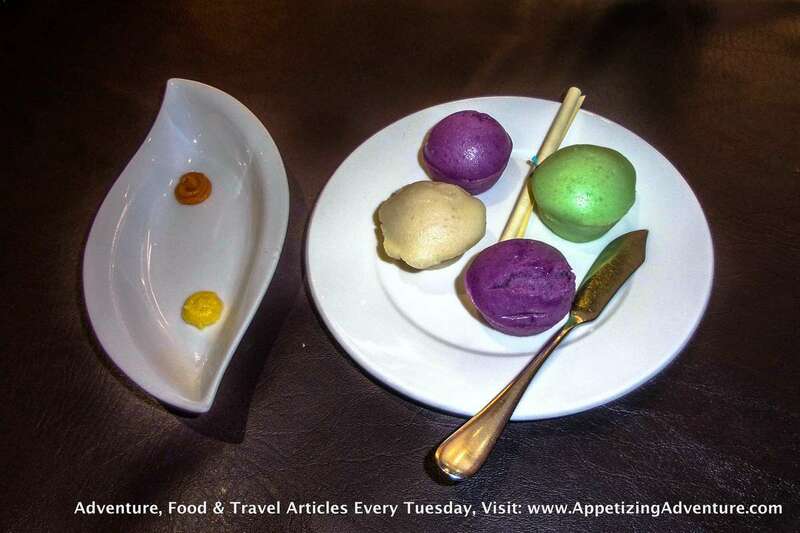 The puto has three flavors: Puto Tagalog (original), pandan, and ube. There’s also a serving of complimentary Chichirya de Manila, or crunchy dried corn that’s a popular Filipino snack. 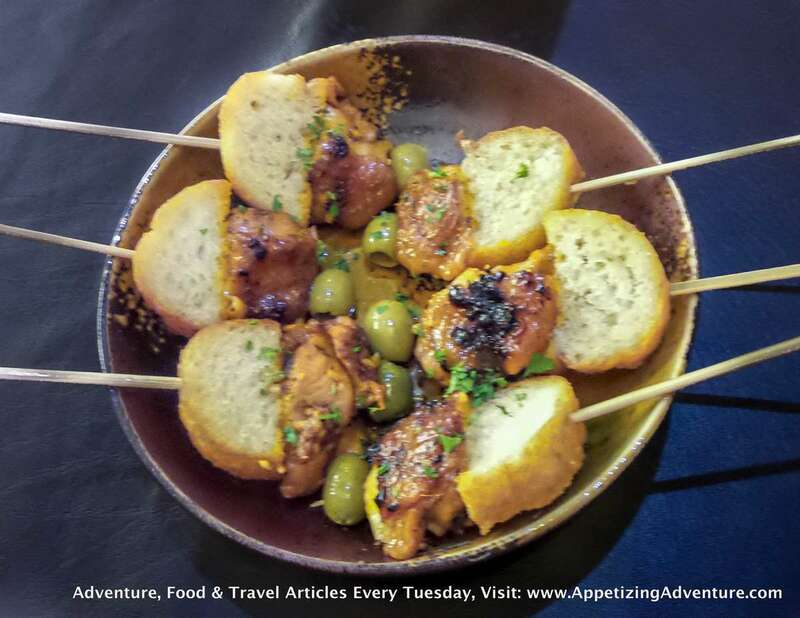 For my appetizer, I tried the Chicken Pintxos (Chicken Inasal Skewers). It’s chicken inasal which is slightly sweet, complemented by the salty green olives. The crunchy olive oil bread goes well with this. Chicken Pintxos is actually a Spanish style appetizer that’s Filipinized. I loved their Tahong con Chorizo. 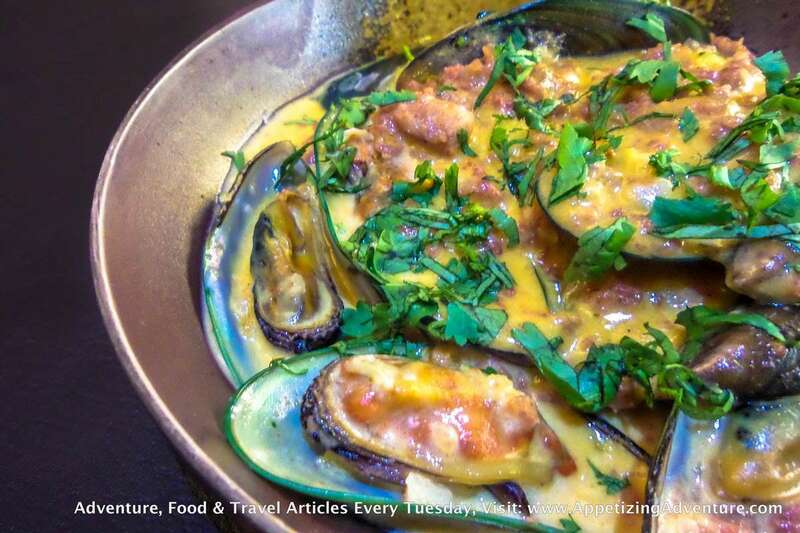 Tahong (mussel) is sauteed with chorizo, milk, and spices. The creaminess of the milk balances the saltiness of the chorizo. The tahong taste and the chorizo flavor go well together. Their best-selling main dish is the Crispy Binagoongan. That’s deep fried crispy pork, sauteed in their homemade bagoong (shrimp paste). My favorite. And just when I thought that the binagoongan was my fave dish, here comes Pinais na Alimasag that made my taste buds all tingly. This was love at first bite. 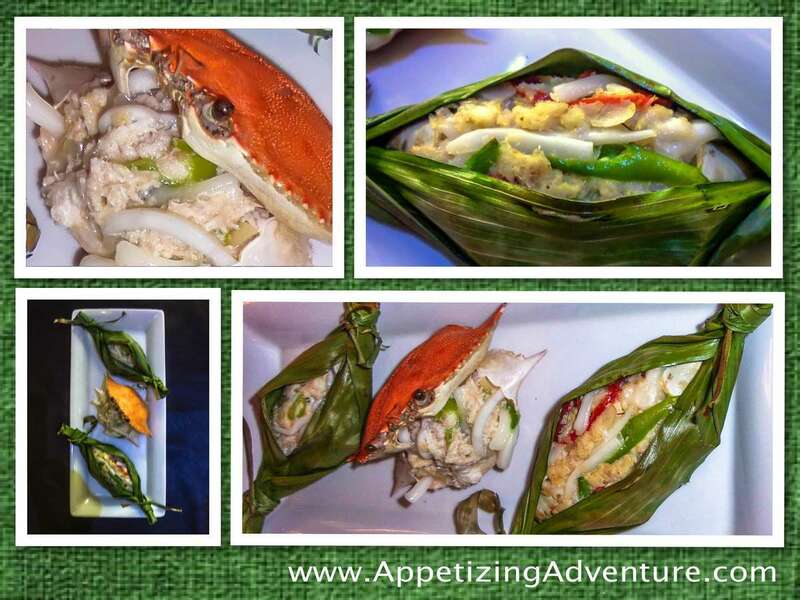 It’s crab meat, coconut strips, coconut milk, chili, onions, garlic, and other spices baked in banana leaves. 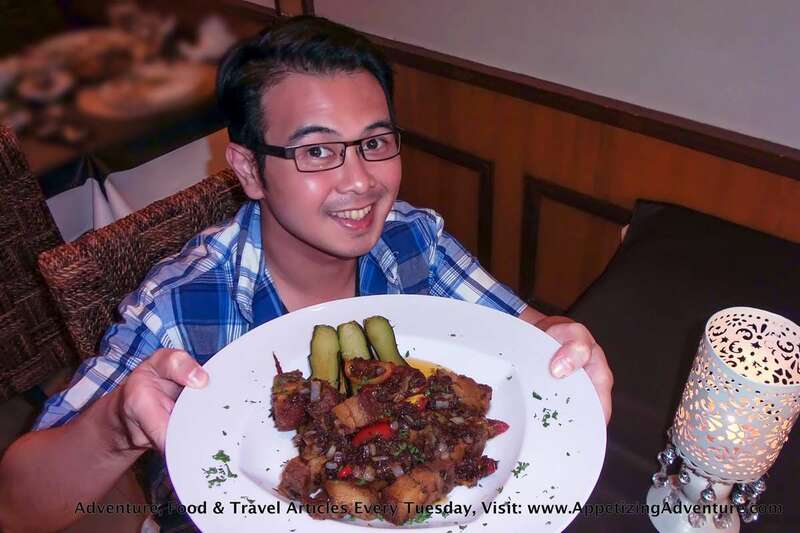 If you’re used to the Filipino Caldereta, here’s a twist, try Caldereta XO Style. 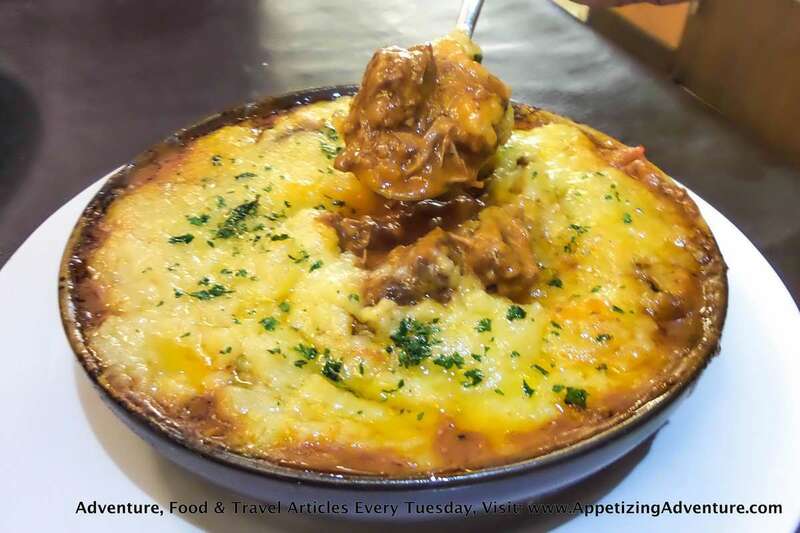 It’s like a Filipinized shepherd’s pie with the beef caldereta at the bottom and mashed potato on top. 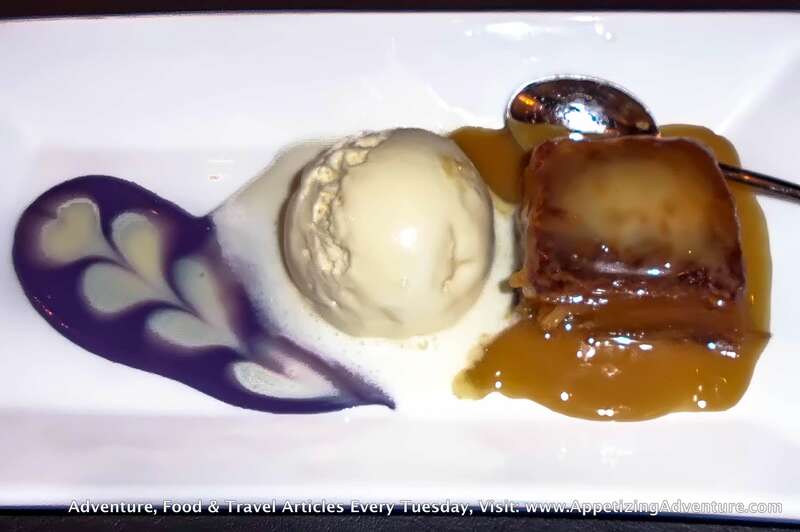 For dessert, taste their Cassava Cake with Salted Caramel served with a scoop of ice cream. It’s sweet, slightly salty, and creamy. To wash it all down, they have complimentary cucumber water. It’s refreshing. 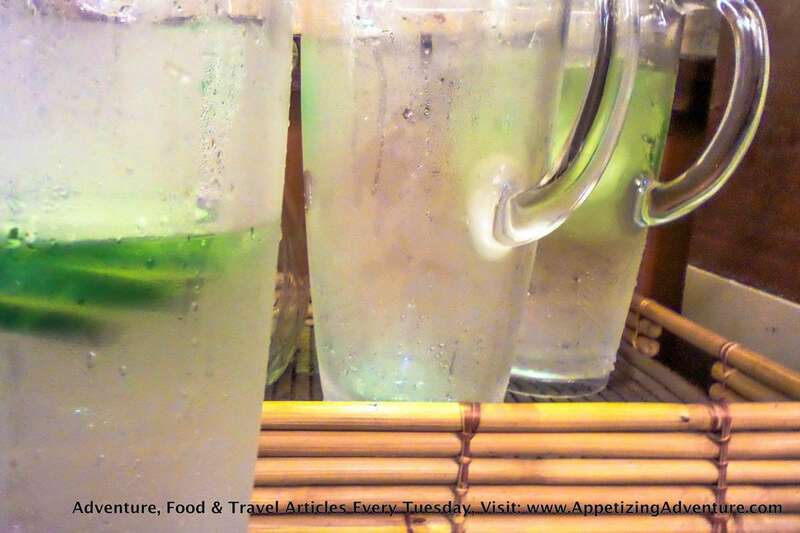 I asked Chef Tanya Dizon why they chose cucumber and not lemon, lime, or mint. She said cucumber is light, subtle, and refreshing. 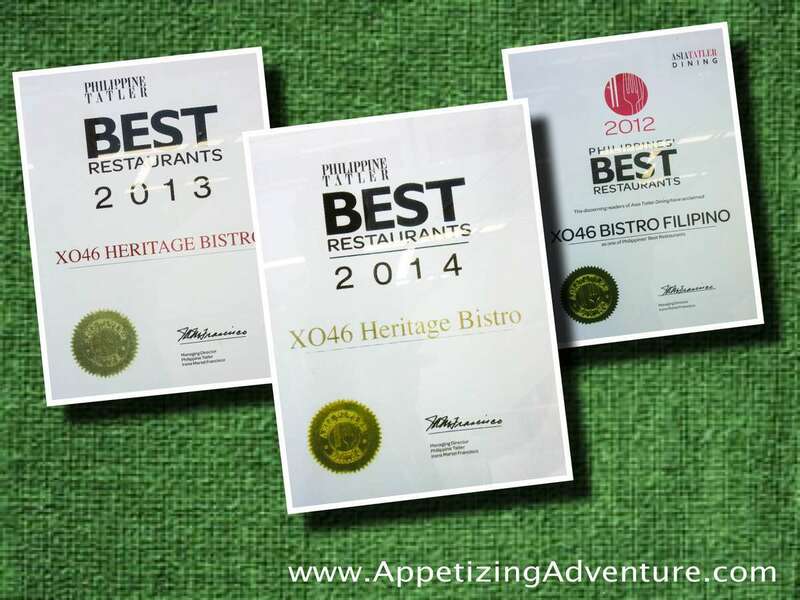 I highly recommend XO46 Heritage Bistro. But don’t just take my word for it. This restaurant has been recognized several times as the one of the country’s best restaurants. Read my other XO46 article (SM Aura Branch), click here.